Charity is something that means something to each and everyone of us, we all donate to different ones due to the meanings and stories behind them. If someone close to us has been affected by something we know we can help by donating to different charities. Sometimes I feel quite sceptical, about giving, not because I don't want to but because I have no idea if the money is going to be used in the right way and given to the right people. Then we have Gift and Befriend who you just know will give every penny you donate to the people they help. Who are Gift and Befriend? It's a new way for us to help people that are less fortunate, those in need register a profile on the site under 'People in Need' and create a profile which is then connected to an Amazon Wish List where they list the items they need. This can be anything from clothes and shoes to household appliances. Then there are the 'Givers' those who can register on the site and view each persons profile, videos and photos and decide what they would like to gift the person with. Amazon then very kindly gift the items directly to the person who needs them, this gives us the guarantee that they will be delivered and those who need it are getting it. What makes it different to other charities? It's that personal touch. As a 'Giver' you can get to know the person you are sending items to by interacting with them on their page things such as asking questions can make the biggest difference. Signing up to the site is free, and there are no admin fees so every single penny goes to the gifts you want to give. 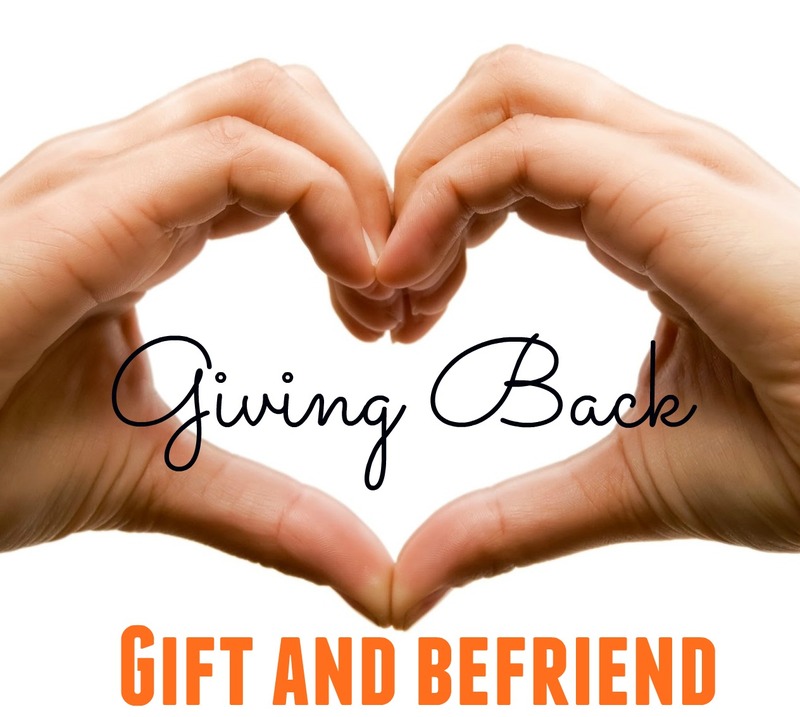 Gift and Befriend also allow you to send anything to anyone, from poor people in the third world countries, homeless people in our own country - anyone in need of assistance. You reading this right now, can register 'Receiver', but verification is required before they put a Verified’ badge on a profile. They are always looking for new Receivers and would be interested in hearing from people who can help. This little cutie is Chao Valeria, she was being raised by her irresponsible brothers after her parents passed away. They all became orphans, but then her brothers were recently thrown in jail because of crime. And since she has been kicked out of the rented house she was in, and is now left to fend for her self. She wishes for new clothes,and shoes as well as a gift card so she can spoil her self. Click Here to view her full Amazon Wish List. Take a look at some of the other receivers here and read about their stories. If this sounds like something you want to do, check out Gift and Befriend it only takes a few minutes of your time and it will be well worth it for them and for you.If you have questions take a look at the FAQs page.